With plenty of clear days, plus a few recent snowfalls to top up the slopes, locals and visitors alike have been making the most of the sunny spring weather – and there’s no better way to celebrate the warmer weather outside than ski and snowboard competitions. 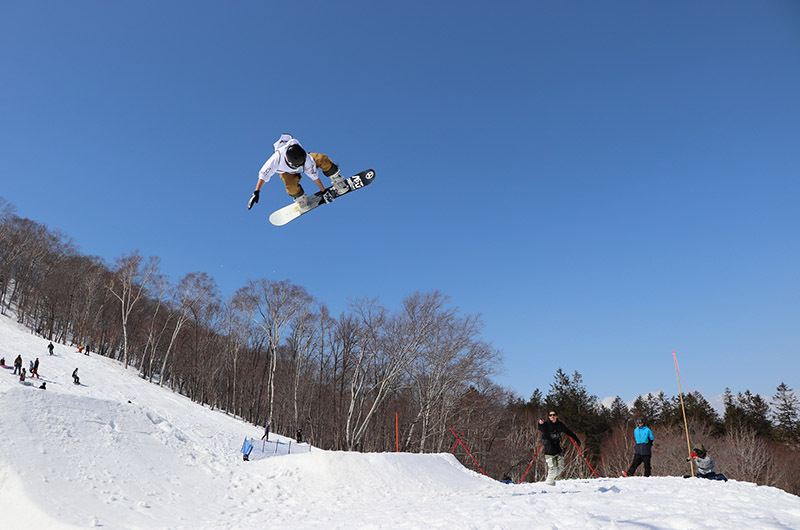 Last weekend saw Hanazono Niseko play host to the annual Hanazono Banked Slalom, and this coming weekend will also host the Hanazono Slopestyle, held at Hanazono Main Park on March 24. Both competitions are big events on the Niseko events calendar each year and attract plenty of competitors as well as spectators. Hanazono’s most popular annual event, this year’s Banked Slalom was no exception. With only 80 spots available in the competition, these were filled within 48 hours of registration opening! Hot tip – if you want to participate next year, get in early! (Registrations usually open up on the Hanazono website exactly one month before the event). The weather gods were kind – fresh snow falls the night before the event saw 10cm of fresh snow at the base of the mountain and even more up top, but the skies cleared in time for the big day with sunshine and blue skies all day. The Banked Slalom is open to men, women, and children, and both snowboarders and skiiers are encouraged to enter. Reigning champs from last year – Tomoyoshi Harada for the men and Yuki Saga for the women – both retained their crowns for another year. For full results and pictures from the day, check out the event website. 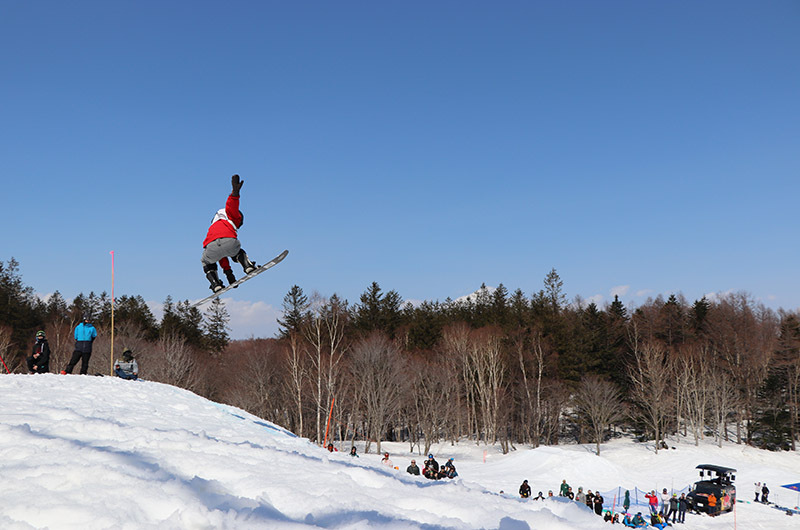 This coming Sunday will see another popular event running at Hanazono Park – the Hanazono Slopestyle. Using a standard slopestyle format, skiers and snowboarders will be judged on a full run through a special-built park. With big prizes up for grabs from the sponsors, competitors are urged to bring their best tricks, as this competition attracts the best park riders from near and far. Online registrations are open until 4pm March 23, or until all spots are filled. Registrations will be accepted at the event on the day (registration from 8:30-9:30) if spots are still available. Open to skiers and boarders, the competition has categories for men, women and children (all participants must be able to ski/board in a controlled manner, must wear a helmet, and under 18s must have parental consent). For more details and online registration see the event website. Win a 5-day Niseko United All Mountain pass!